The Liberal Democrats have passed a comprehensive plan to end the crisis on Britain’s high streets. The party’s plans are set out in a motion – Town Centres fit for the future – passed at Liberal Democrat Spring Conference in York. The motion calls for bold action to ensure town centres thrive in an increasingly digital economy, including: boosting support for local entrepreneurs; reforming local planning laws; developing local asset registers; and creating a new industry-led body to help brick-and-mortar retailers adapt to the digital economy. 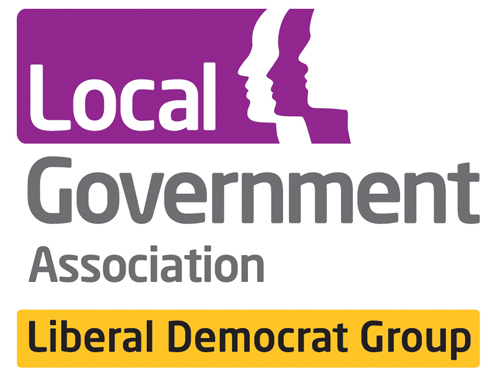 The motion also reaffirms the Liberal Democrats’ commitment to replacing business rates with a land value tax, thereby boosting investment, rebalancing the economy and cutting the average tax bill in over 90% of local authorities. a) A weak economy caused by a crisis in productivity. c) The burden of business rates. d) The rise of online shopping. e) Increased staff and pension costs. f) Issues particular to an area, such as out-of-town shopping, parking problems, or planning failures. II. Around 3,200 stores have closed since the beginning of 2014, and footfall in every month of 2018 was lower than it was 12 months before, putting thousands of jobs at risk. III. Prominent high-street and out-of-town retailers including Toys R Us and Maplin have fallen into administration, while other flagship retailers including Marks & Spencer and Debenhams have announced plans to close stores. IV. Conference further notes the continued trend of loss of pubs, particularly community pubs, due to closure for redevelopment and conversion to managed chain bars or franchises. A. Liberal Democrats should champion business innovation and the benefits to consumers that online retail has brought. B. Town centres are the heart of our local communities and should not be abandoned purely to market forces. C. Local and national governments have a vital role to ensure that town centres continue to thrive. i) Ensure that there is a long-term plan for the future of their town centres, developed in consultation with businesses, civil society and residents; town centres should have a well-defined brand, supported by local investment, aesthetic regeneration and reform of the planning system so local authorities have the tools they need to ensure their town centres thrive. ii) Make it as easy as possible for entrepreneurs to set up on the high street, by offering low-cost incubation space and business support for start-ups; temporary pop-up units should be available for start-ups to trial new products and services without being tied to long rents. iii) Maintain an up-to-date register of assets so that councils and businesses know who owns what property in town centres, building on existing good practice such as the One Public Estate programme – this will help councils formulate better plans for redeveloping town centres, and help businesses use local building stock more efficiently. iv) Use local insights to improve customers’ experiences of visiting town centres, including by (for example) providing free public Wi-Fi, and ensuring that public spaces are well-lit. a) Making it easier for councils to change permitted use where deemed appropriate, including through a fast-track procedure to permit a temporary change of use when a space is left empty while retaining existing protection for community assets and pubs in the planning system. b) Ensuring that commercial property cannot be converted to residential property without planning consent. c) Creating new planning classes for multiple use, so that services can be combined where they would not be viable on a standalone basis. d) Introducing new planning use classes for town centres giving councils the power to discourage “clustering” of certain businesses types. 2. Sharing helpful examples of existing good practice between town centres, signposting local councils towards funding and advice, benchmarking performance, and providing common standards for data collection. 3. Encouraging businesses to create an industry-led body to help brick-and-mortar retailers adapt to the changing economy – this body should support shops to improve their online offer, help them expand the use of technology on their premises, and encourage them to attract shoppers through offering experiences such as in-store advice, demonstrations, competitions, events and courses. 4. Financing this transformation of town centres by expanding the “Future High Streets Fund” announced in the 2018 Budget, which was only allocated enough money to support 27 areas over five years, far below what is actually needed. 5. Require, as part of the review of the Pubs Code, the extension of the definition of unfair business practice to include a pub company issuing a Section 25 notice principally to change operating model to end a tenancy. Conference also reaffirms its call on the Government to replace business rates with a Commercial Landowner Levy, removing the disincentive to invest in a business’s buildings, plant and machinery, rebalancing the economy and cutting the average business rates bill in over 90% of local authorities.